On 15/10/2016, India Post announced recruitment notification to recruit Postman, Mail Guard. Through this recruitment notification, India Post plans to recruit 10TH, +2 CLASS candidates for the post of Postman, Mail Guard. India Post is planning to recruit 1 candidates for the post of Postman, Mail Guard. Interested and eligible candidates can apply before 15/11/2016. 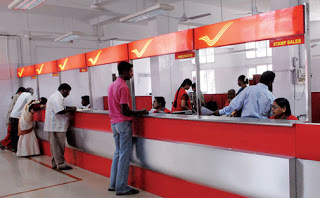 India Post proposes to receive the application from applicants in Offline Mode. Eligible candidates can submit their application to India Postbefore 15/11/2016. All those aspiring to apply can check out various information like eligibility criteria, salary, Total vacancy, Selection Procedure, Job description, last date, Application procedure and other key information required for the post below. Kindly go through all the below details before submitting your application Offline. Candidates can Get the Postman, Mail Guard Post details such as Job Description, Number of vacancy, Qualification, Age limit, Eligibility and etc., from the table given below. Education required: For Postman: Matriculation from a recognized board or University. (b) For Mail Guard: Matriculation or Equivalent from a recognized board or University. Pay Scale: Pay Matrix Pay level 3: Rs 21,700 – 69,100. Application Fee For The Job: Application Fee: Rs. 100/- mandatory for all categories of applicants who have registered. b. Examination Fee: The Examination fee prescribed for all male applicants in General and OBC categories is Rs. 400/-. Candidates belonging to Scheduled Castes / Scheduled Tribes / Physically Handicapped / Women are exempted from payment of Examination Fee. Procedure: The applicant can apply for only one division either choosing Postman cadre in Postal Division or Mail Guard cadre in Railway Mail Service Division. If an applicant registers more than one application on-line, his/her candidature is liable to be rejected without any communication. 2) The applicant has to go through the notification, instructions to candidates, vacancy position, FAQ carefully before filling up the application form. 3) The applicant has to keep ready (i) The scanned image of photograph and signature in .jpeg, .jpg format in specified file size as mentioned in the instructions. (ii) 10th Standard mark list. 4) The applicant has to fill up the data required online and enter all mandatory fields. 5) Finally before submitting the form, the applicant has to check all the entries made by him/her for its correctness and genuineness. 6) Once submitted, no data can be modified/altered. 7) The applications are to be submitted online only. Manual applications will not be entertained. In respect of candidates who apply manually, no correspondence will be entertained and no admit card will be issued to such candidates even if they have paid the fees by any mode. 8) After registration, fee challan will be generated as per the eligibility of the applicant. 9) The registered applicants should pay the required fee at any post office with E-Payment facility (listed under e-payment ) within 3 days from the closing date of online registration, i.e. 18/11/2016 . 10) After payment of fee, the candidate has to update the payment details in the portal through LOGIN for completion of registration process. 11) Once payment details are updated in the website, the application may be downloaded through LOGIN after 48 hours of payment updation. 12) The applicants are advised to keep a copy of fee challan, receipt issued by the Post office and application, for future reference. 13) For Receiving the SMS/Email to the registered mobile number/Registered email ID, the candidate are requested to furnish valid Mobile Number and Email ID, otherwise no correspondence will be entertained. 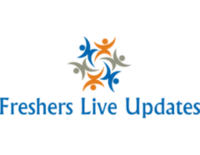 14) Admit cards for the examination indicating the date, time and venue of examination will be generated for all eligible applicants who have paid fees, about two weeks before the date of examination. A copy of admit cards will be sent to the registered email Id. Candidates also have the option to download the admit cards from the website. 15) Candidates who are unable to download their Admit cards or do not receive their admit card in their registered email ID at least one week before the date of the examination should submit their request in the website through support tab. Closing Date for Registration of Application: The registration of on-line application will close by 23:59 hours on 15/11/2016. Selection Will be Based on /either Written Test / Personnel Interview / Other Mode by the India Postnorms or decision . Interested and eligible Candidates Can apply offline for the post of Postman, Mail Guard Post mentioned below.